According to a report by KGO-TV ABC 7 News, today, an Antioch teenage girl who was killed during a police involved shooting in Hayward, on Tuesday, March 14 was pregnant. 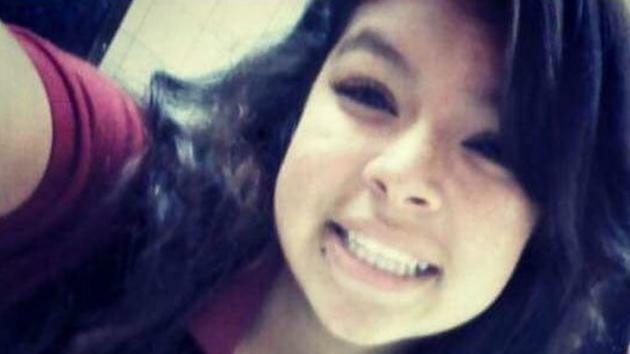 The coroner estimates that 16-year-old Elena Mondragon was within the first trimester, the report stated. In addition, the report stated that Hayward police have captured a man suspected of running away from the scene of the shooting and that her family members have said he is not Mondragon’s boyfriend. The shooting occurred near the Hayward campus of Cal State East Bay and two detectives were hurt, as a result, according to an earlier KGO-TV report. “Hayward police say Fremont police detectives stopped a stolen vehicle that was wanted in connection with multiple armed robberies in Fremont and the Bay Area,” the earlier report stated. Mondragon was one of the passengers inside the vehicle, along with another male and female, both of whom were later arrested. The suspect’s vehicle “rammed the detective’s vehicle injuring two detectives. Police say those detectives fired at the suspect vehicle hitting” Mondragon. She later died at the hospital from her injuries. According to an Antioch resident who chose to remain anonymous, a vigil was held near Knoll Park in Antioch, Wednesday night, in her memory. The Mondragon family has set up a GoFundMe account to help pay for funeral expenses. This entry was posted on Thursday, March 16th, 2017 at 3:40 pm and is filed under News, Police & Crime. You can follow any responses to this entry through the RSS 2.0 feed. You can leave a response, or trackback from your own site.